Author Stephenie Meyer left readers drooling over her Twilight series. 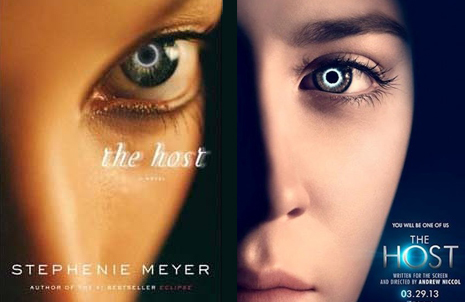 Although some may think there’s nothing that can be as good as Twilight, Stephenie has proved that she still has the skill to captivate readers with her other book, The Host. Released several years ago, the book has just recently gained popularity and will be made into a movie in 2013. So what has readers so captivated by this book? In The Host, the world has been taken over by aliens. But these aren’t the green Martian-type of aliens... they’re souls that travel from planet to planet and need to find host bodies to insert themselves into in order to live. Talk about a power struggle. Now the world is completely taken over by these souls walking around in human bodies. The souls are peaceful creatures, except when it comes to finding host bodies to stay alive. Of all the souls, there is one that is known to all: Wanderer ... or that’s the name they gave her since she’s wandered from so many planets. Never finding a place she thought was home, Wanderer is put to the challenge of inserting into a human host who the souls believe was part of the human resistance. The human was cornered and chose suicide over becoming a host, and it would have worked, too, if only the elevator shaft was higher. The souls know this human host will be a challenge, but if anyone can handle it, it’s Wanderer. Inserted into her host, Wanderer lives life normally. That is, until she realizes that her host is still inside of her body, very much alive, and very angry that she’s sharing the space and no longer in control. After inheriting all of her host Melanie’s memories, Wanderer can’t get two people out of her head. One is a young boy, Jamie, Melanie’s younger brother who she protected from the souls. And the other haunts Wanderer with memories, and in her dreams: Jared, Melanie’s boyfriend. Wanderer can’t believe she has such strong feelings towards someone she’s never even met, let alone someone that’s human. Want to know what happens to this odd love triangle of two girls trapped in one body, in love with the same man? Pick up a copy of The Host and find out! Or see it all play out on the big screen in 2013! A story of belonging, love, friendship, and most of all, survival, The Host will have you holed up in your room reading. I lalallalallalalaaaLOVE this book! I read it about a year or two ago, and I have yet to find another book that tops this one.